How many dance enthusiasts do we have here? 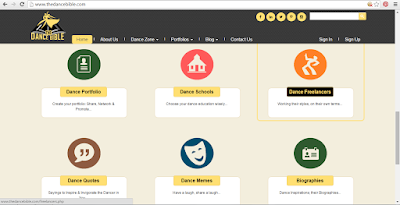 Today I am going to review a very useful website which is mainly for dance lovers and also for those who love to learn more about dancing. Yes, I am talking about TheDanceBible which is a one stop platform for all dance lovers to come together and connect through the art of Dance. 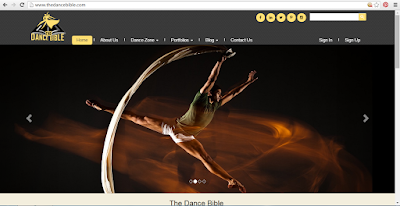 The Dance Bible not only offers unique content about various dance styles informing the user about dance histories,biographies,health & nutrition etc; but also keeps the user informed of upcoming dance events in their city .This website also keeps them entertained with interviews,audio and video playlists. At this website,you can check about dance schools in your city and then can choose your dance education wisely. Earlier,I only knew about Shiamak Davar Institute of dance but at this site there are many good institutes. 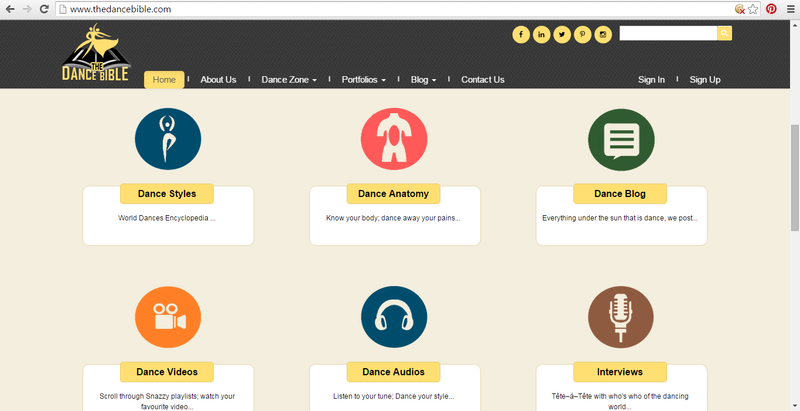 In Dance Freelancers section,you can find profiles of freelancers and you can also add yourself there. The key features of this portal are Dance Portfolio and Dance Forum section. Under Portfolio, dancer can create their own dance portfolio audience about their dance story. Dancers can upload their dance photos and videos. They can promote their work and get genuine feedback from fellow dancers and audience. I have never seen and read any dance blog but today I read TheDanceBible's Dance Blog and I found the blogposts really useful.The blogs focusses on the importance of right nutrition for dancers,breathing exercises for dancers,how to prevent common dance injuries and the one which I really loved reading ~How to stay self motivated and keep DANCING. Wow, this website,takes complete care of a dancer's needs! 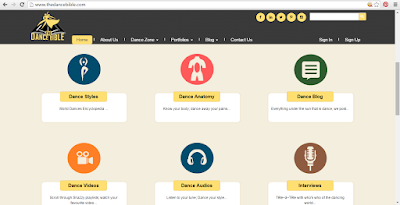 The Dance Bible provides a best platform to dancers to connect and communicate their ideas to the world. Connect with TheDanceBible on their Website and Facebook Page.